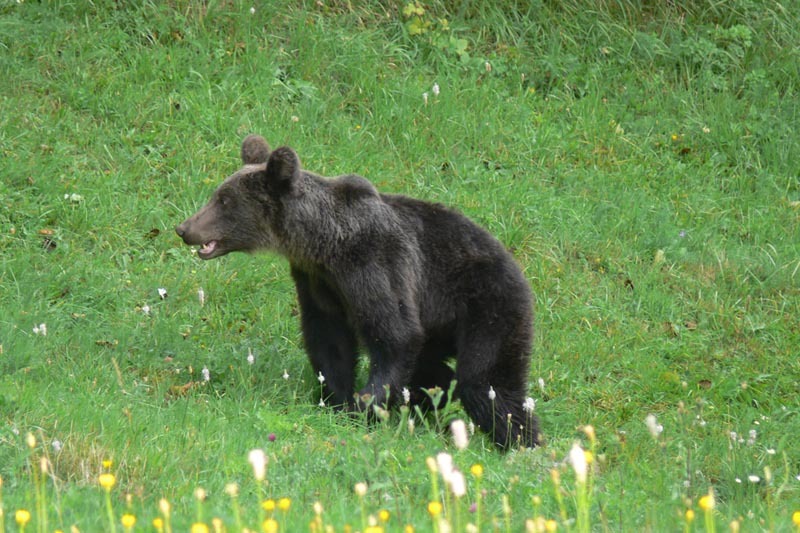 Brown bear watching holiday: experience untouched nature, impressive landscapes, chamois and remoteness in Bucegi wildlife park, Transylvania, Romania. This trip gives you the best opportunity to live for a few days in wilderness watching bears, red and roe deer, chamois etc. It is a trip for the physically and mentally fit people only! Important! As we are talking about wildlife in the wild there are no guarantees that you will see anything. We will take you to the best spots and maximize your chances to enjoy wildlife and especially lynx and bears, but weather and other uncontrollable factors can cause lack of success. From your side, you should make sure to wear appropriate clothing, wear comfortable walking boots/shoes and absolutely no „smelly” things (perfumes, detergents, creams etc)! This is a trip for the physically and mentally fit people only! The accommodation is a tourist cabana, with no proper toilet or shower, so if you are looking for comfort – please check our trips under „Wildlife watching in the wild” section. You will not sleep long, as you need to be in the field before sunrise (app. 6am) and you go back to the cabana after dark (8pm). Transfer to Brasov area, where you will either set the tent or check in at a hotel in the medieval town of Brasov, and prepare for the first night of the trip. No food included. Early morning you will start hiking towards the tourist cabana. As bears are nocturnal animals, you will need to start hiking before sunrise to have a chance to see them! Warning: you will need to carry your equipment. You will sleep in a tourist cabana in a proper bed with linen, so you will not need to carry your sleeping bags as well. The cabana has a “restaurant” where you can buy mountaineering food, including warm meals. There is no proper toilet or shower, so if you are looking for comfort – please check out our trips under „Wildlife watching in the wild” section. 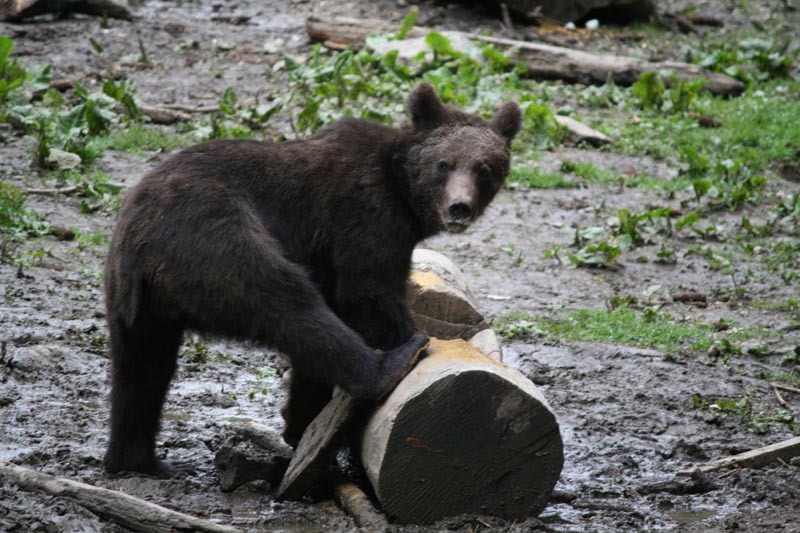 On the last day you have the option to hike back to the car after the morning wildlife watching session, have a 3-course dinner and a good night sleep in a guesthouse in Zarnesti – extra cost 28 euro per person, or the medieval town of Brasov (different cost). Early in the morning you will pack you backpacks and hike back to the car (at least 2 hours hike). Transfer back to the airport in time for your afternoon departure. Accommodation in a tourist cabin located relatively close to good bears spotting areas. Meal basis: no food included. Travel is by car and on foot. Thank you for choosing us for your short break focused on bear watching!